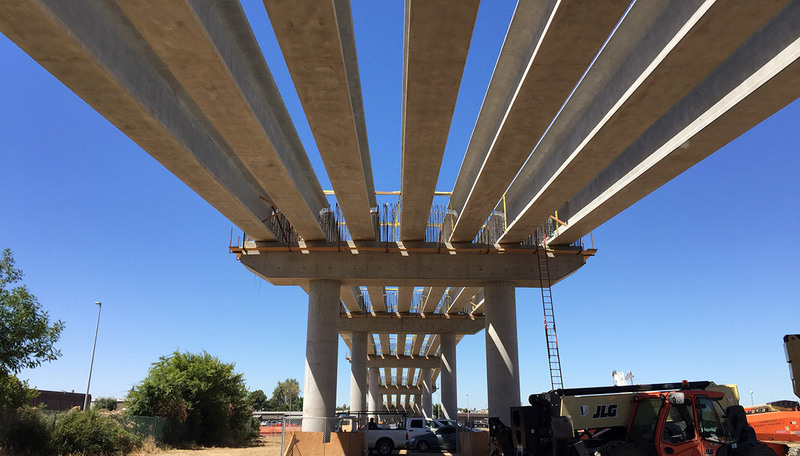 The High Speed Rail Project in California is real and moving forward with the Tuolumne Street over crossing bridge being one of the first major structures to be constructed in downtown Fresno. This road bridge replaced an old 10-span steel bridge that crossed over the BNSF and future High Speed Train tracks. 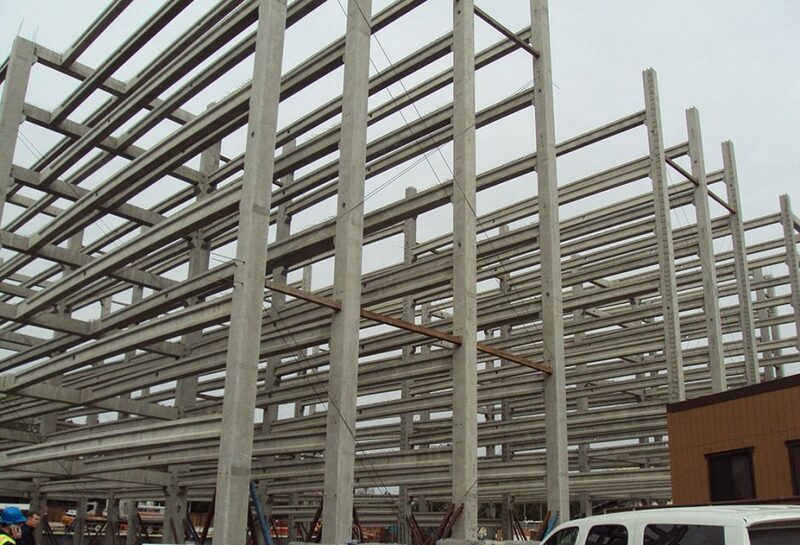 The new structure is a 6-span precast prestressed concrete girder bridge that utilized 72” deep California Wide Flange Girders and 3½” thick prestressed deck panels. 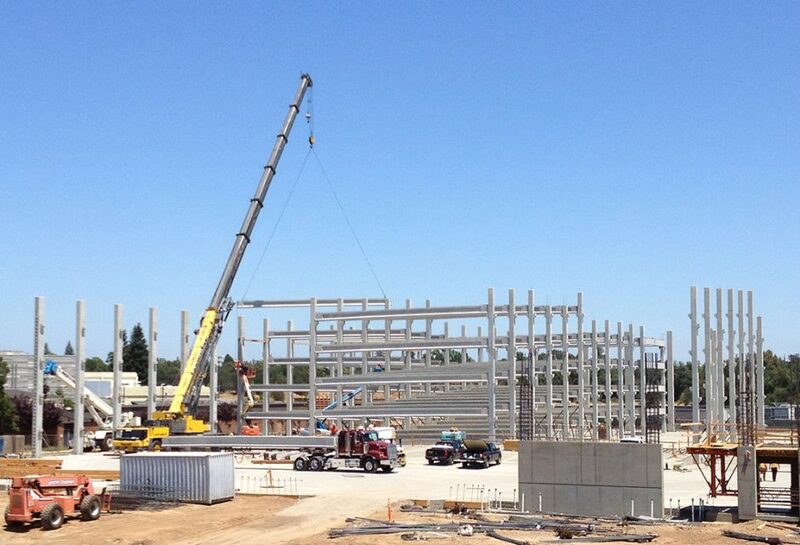 Each span has seven girders spaced at 7’-10” on center. The maximum length of girder used was 149ft long and weighed approximately 166,000# each. The girders were shipped from the Con-Fab’s yard in Lathrop to the site along SR 99 and erection of the bridge was completed in six days using a single crane. The bridge has a significant vertical curve which was accommodated by having a haunch, or cast in place build up, of up to 14” over the top of the girders. Precast prestressed deck panels, utilizing two way pretensioning, formed the underside of the bridge deck. 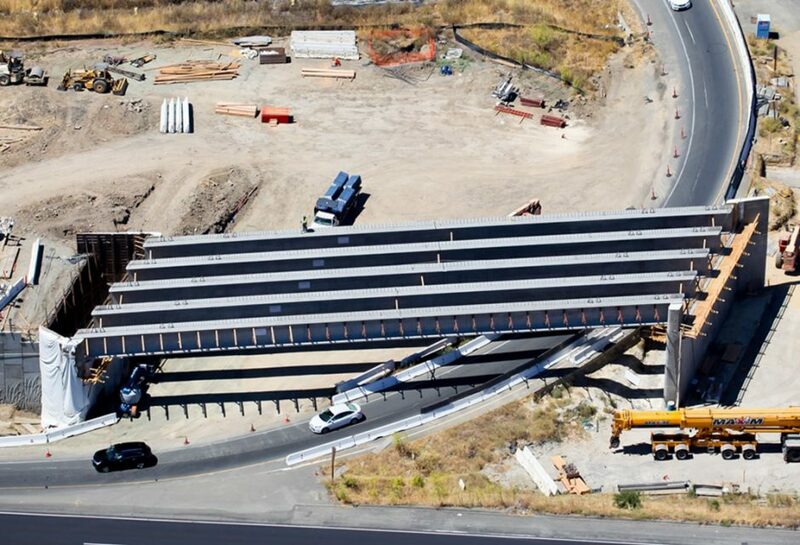 The use of the two way pretensioning allowed the deck panel length to be increased from the Caltrans typical of 8ft to 13ft and therefore less pieces to handle saving time and money. 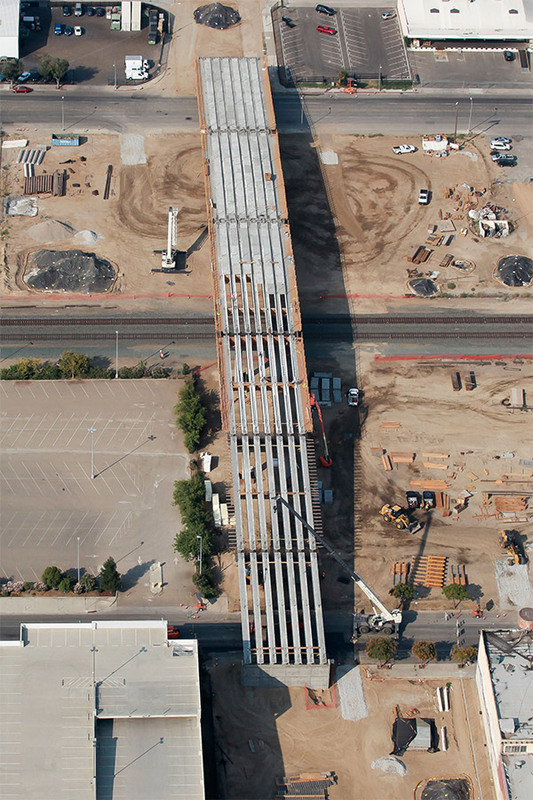 The bridge is scheduled for completion later this year and is one of several that will be constructed in downtown Fresno for this Phase of the High Speed Rail.